All of the 43XX Monitors and other products that are offered on our site are available for shipment to overseas buyers. 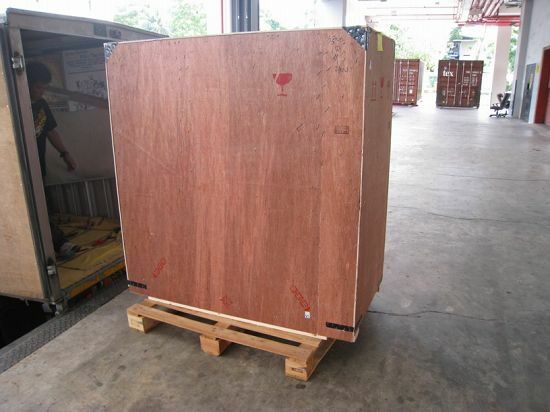 Large heavy monitors will be thoroughly packed in heavy wood crates that are custom built to the required size. Smaller models may be packed and banded on wood pallets. 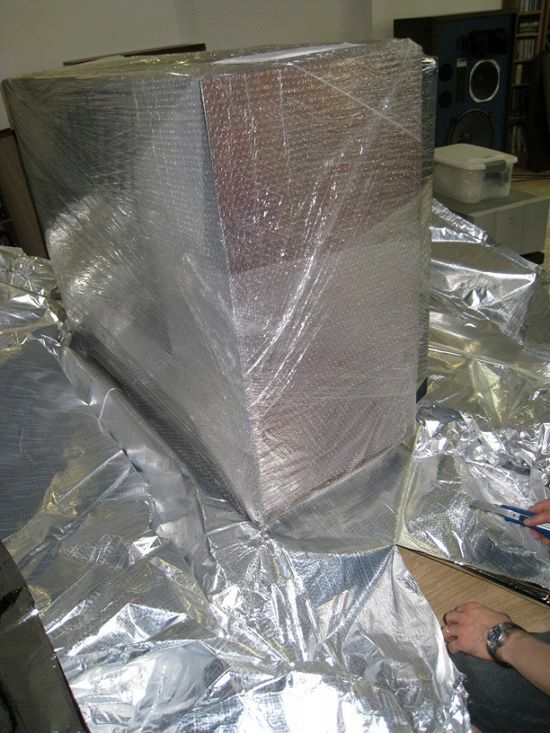 We often install "Shock Sensors" on our shipments to verify proper handling by our shipping carriers. 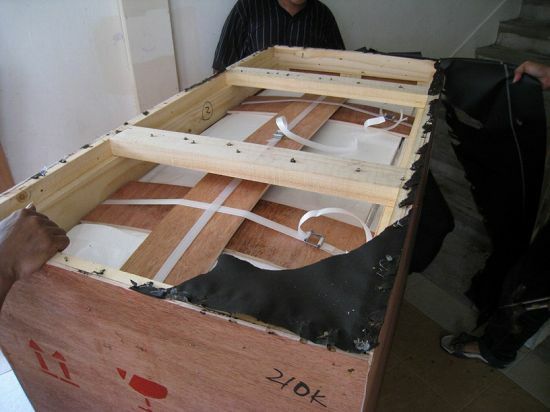 Internal packing is always provided to insure that your purchase arrives at it's destination without damage. We strongly urge our buyers to select shipment via Air Freight, even though it is more expensive than the Surface Freight option. 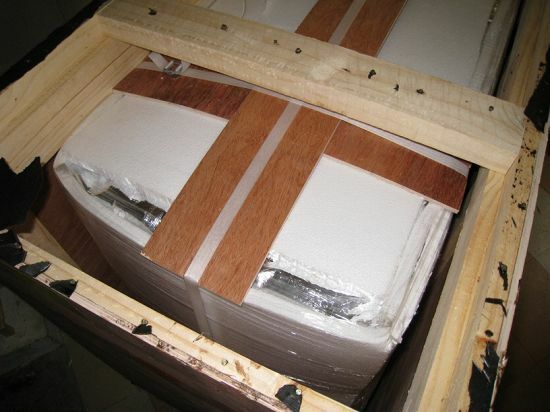 Air Freight shipments are handled fewer times and are exposed to less chance of damage by freight handlers. 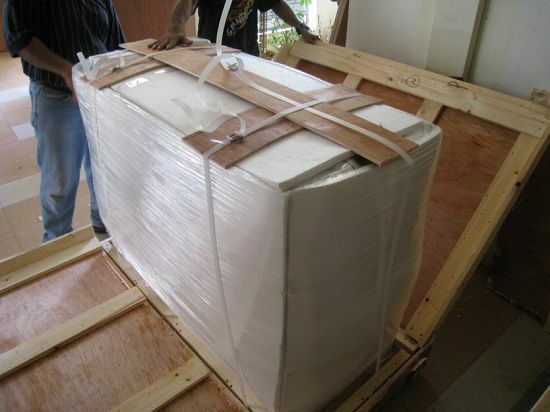 Air freight shipments will usually arrive to the custom's location within one week. Surface Freight shipments can take as long as 6-7 weeks for delivery. 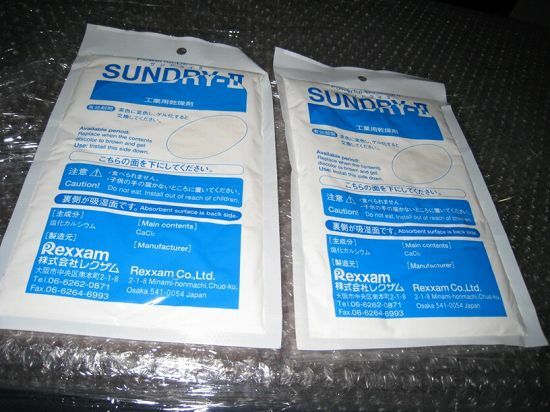 We ship from our facility in Japan and also from the U.S. If you have further questions related to shipping please contact us. 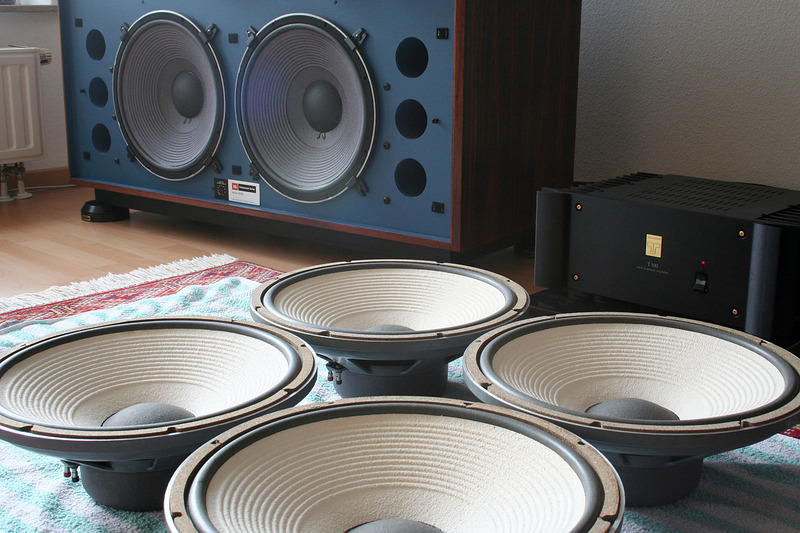 "Check this List of JBL 43XX Large monitor speakers"
He bought Viridian Sunburst colored YAMAHA NS-1000M last year and JBL 4343A special this year from us. So far I have after installing them, along with the new MC452 from Macintosh, I have had a few fellow audiophiles around for listening. These 4343AWX's are absolutely sublime! The sound produced, even at ridiculous volumes, is crisp, effortless and so accurate. I had never had the pleasure of hearing anything better than my NS 1000's in the past. 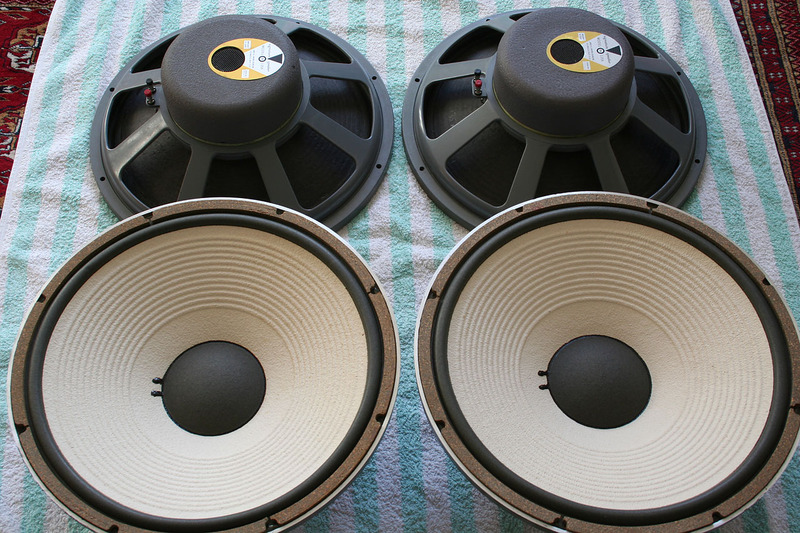 South Africa was not a destination for JBL products in the 50’s, 60’s, 70’s an 80’s, so, now that we have the ability to buy "like new" JBL monitors from that era through Kenrick, it is nothing short of an aural pleasure! As I continue to try our all the varying genre’s of music I enjoy on these monitors, I continue to be surprised. He bought JBL 4343A Maple Vennered Alnico (Re-magnetized) version and PIONEER EXCLUSIVE model 2402 Special Polished Walnut Sunburst speakers from us. 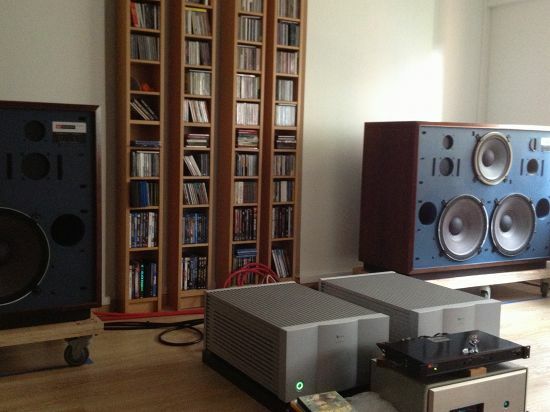 Thank you very much for nice speakers! 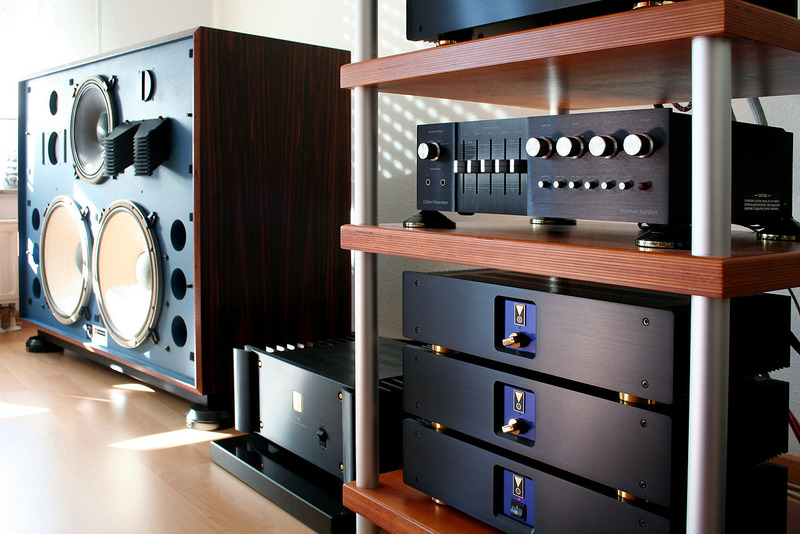 I am amazed by your passion to HI-END Audio Speakers and by professionalism of your Kenrick Sound team… outstanding craftsmanship and service! Pioneer Exclusive 2402 and JBL 4343A. You can spend a lot of time, trying to find a perfect pair of JBL 43XX or Pioneer Exclusive 24XX…may be all your life, but I found the easiest way ? Kenrick Sound! 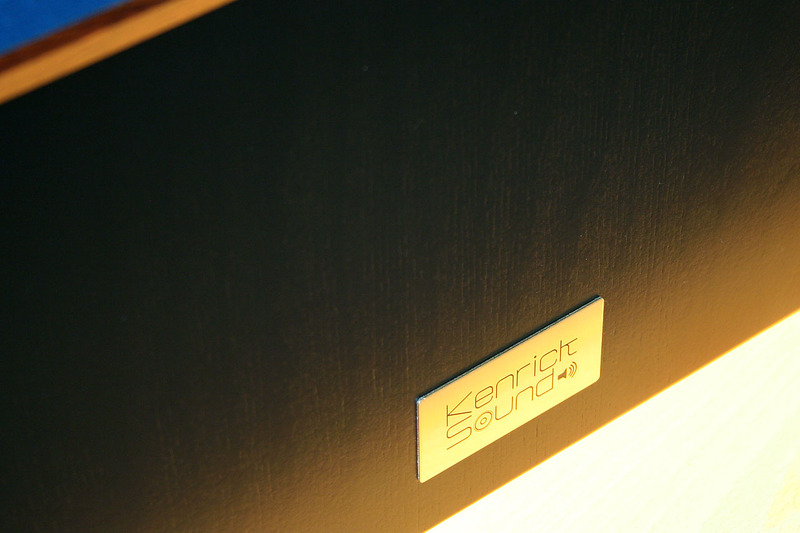 Kenrick Sound provided outstanding craftsmanship and service…These guys know what they do and they do it right. 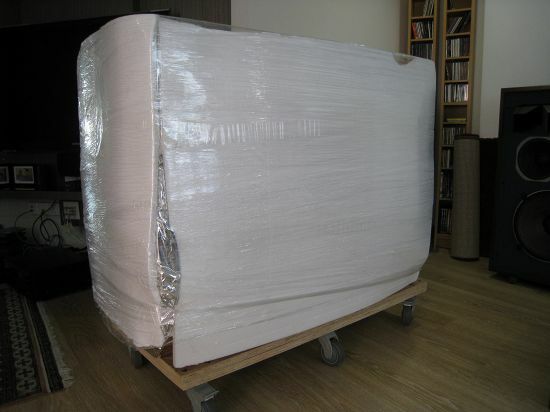 Speakers had been packed very safe and shipped by professional shipping company…no problem here at all - I got them safe, fast and in perfect shape. I’m very demanding customer and Kenji was very helpful and patient … before I made my order I had asked a lot of questions…and I have to say ? I’d got all my answers ! Kenji San is very honest, knowledgeable and helpful! I love both my new speakers: Pioneer Exclusive 2402 and JBL 4343A ? both speakers are amazing in their own way…. I wish, we had such a customer service and such a craftsmanship in North America! Your very satisfied customer from Canada. KENRICK has the first VERY SATISFIED customer in Singapore. Thank you!! 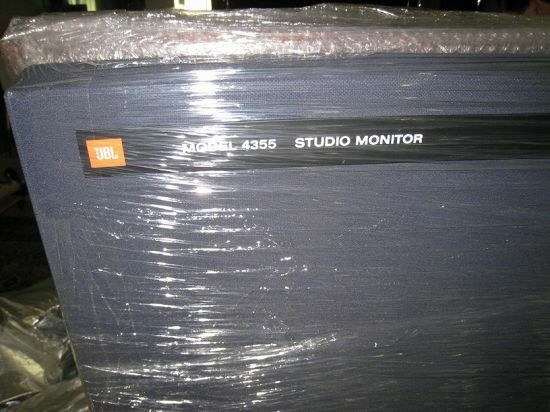 I am new to the 43xx Monitor Series from JBL and started with 4344 only 2 years ago. 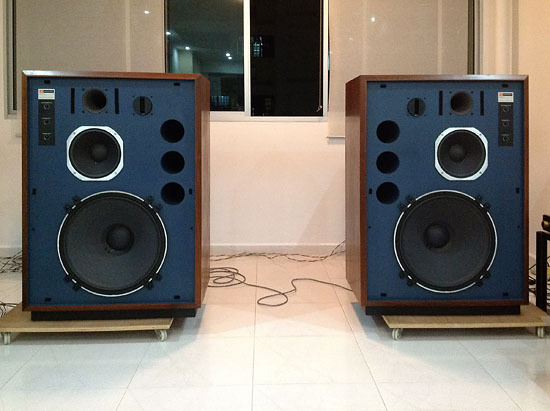 After a lot of research on the 43xx Monitor series, and finding many poor condition JBL's in Singapore, I came across KENRICK from Japan through my friends. I was looking for the JBL 4350 or 4355 series and had sent many questions and emails to Kenji san. He was very patient and informative. In Apr 2012, I had the chance to visit Tokyo for some business and took the opportunity to visit KENRICK, he had two pairs of 4355's. During my visit, it was an easy decision to make and i am now the proud owner of a pair of the 4355's. CARE : Kenji and his team pays a lot of attention to detail, right down to packaging for overseas shipment. First of all, I want to thank you for doing a wonderful job on my 4345. They look and sound great. Some background about myself, I first came to learn about Japan's craze over JBL 43 series studio monitors through the Stereo Sound magazine. 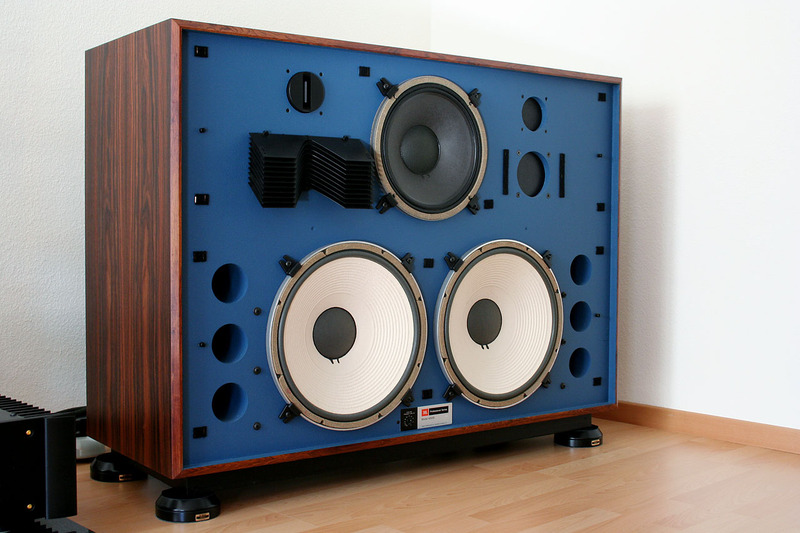 I was always amazed by the pictures of large JBL studio monitors in small rooms, wondering how do they sound. Finally in 2004, I managed to get a pair of 4333A and experienced the magic of JBL 43 series studio monitors. The rest as they say, is history. Over the years, I have owned 4343B, 4430, and finally the ultimate 4350A in 2010. It was my dream to own a double woofer JBL monitor. The sense of scale, attack, speed, details is without equal and effortless. However, the 4350A tweeter and horn position is too low and i faced placement issue and could not realize the full potential of the speakers I know is capable of. Finally with much reluctance, I sold it to a friend in feb 2012. So I am without JBL once again. Until now... With your help, I am able to own a pristine condition 4345! First impression is that it goes low, not quite as forward sounding as the 4343B, and able to recreate the full size of musicians in my living room, in other words, I love it. I do not miss my 4350A anymore. Next project would be to bi amp the 4345 perhaps? 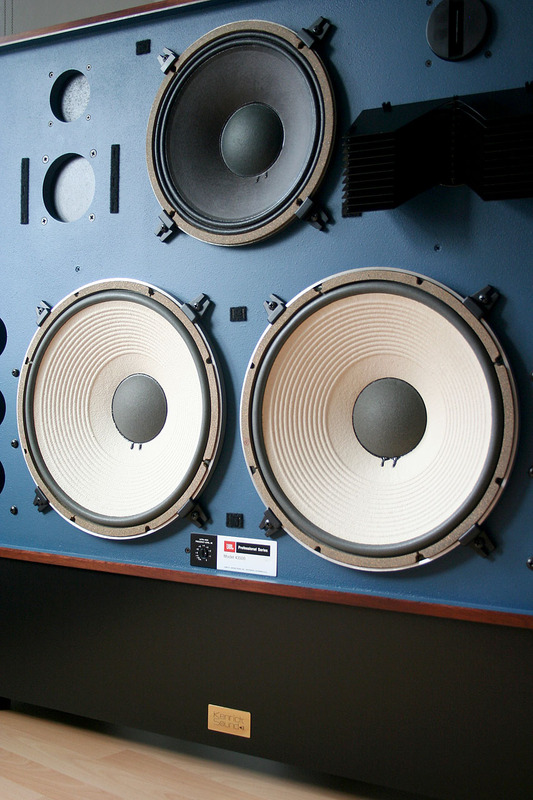 Once again, thanks for keeping the legacy of JBL 43 series Studio Monitors alive. Now i have the speakers on place. My neighbours have stop complaining now when i play loud. Because the sound is so good. It´s a really big diffrens then before. I hope it is ok with Kenji and his employees regarding the disaster. I send a photo on the speakers. I've received a pair out of your second batch of these Kenrick 2308 repro lenses, which are currently available again. So far I have had four pairs of originals in more or less used condition for comparison, have kept two intact pairs. I would consider myself picky, and it's quite possible more JBL speakers in need of undamaged lenses will come by in future. For now I will use them on my 4343's – some pictures are attached for your pleasure. Anyway, these lenses are as good as it gets now and look brandnew of course. I'd order another pair from you anytime there is need, and be done. 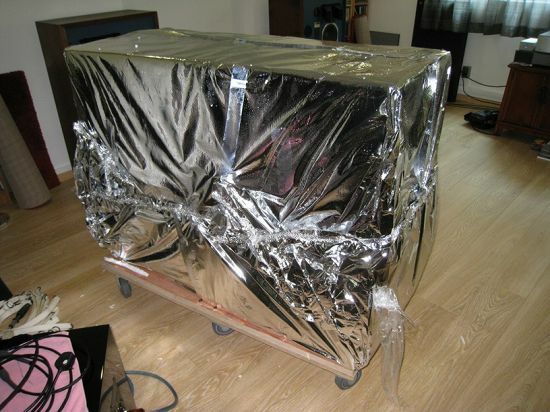 Handling and shipping to Europe was professional as well. Highly recommended. Many thanks from Berlin/Germany. November 2008. For a few months, I have been watching the ads to look for a pair of 4343's which would be in good condition. But there is nothing of interest. Just some 4343, more often in a sad state. And I don't want to check higher model which could be of interest for me (4344 or 4345) because you cannot find them in France or in Europe anyway. I can still hold on a little because my 4320 S8 give me good and faithful services, although I feel the 375 mid frequency driver too omnipresent and low frequency driver too subdued. However, I say to me at that stage, it could take long before I find a model which is convenient for me in the European field. Then I took the decision to extend my field of operation, without any hesitation because with the speakers, there is no problem of tension as you have with electronic. I had heard of the JBL43 (Kenrick sound) on chat rooms and the opinion of people who made that move were prositive. Kenrick Sound is a partnership between Kenji Hosoi (who lives in Japan) and Rick (who lives in the US). Kenji is younger than Rick, but he shares the same passion for JBL. My last hesitation disappeared quickly with the quality of the e-mail exchanges that I had with Rick or Kenji. Both are very patient and take time to answer all my questions. Replies are unambiguous. And of course, pictures are used as a support. Good surprise : 4344's are available in the US (shipping costs divided by 2). It's Rick partner of Kenji Hosoi who had restored them. Lead-time is about 3 weeks: a week for Rick to crate them by wood and 10 days for transport. The shipping with DB Schenker allows to track the progresses step by step until they arrive at Roissy Airport. When the package landed in France, I got in touch with DB Schenker for the customs clearance (I empowered DB Schenker to carry on because I had no time to handle administrative procedures). I finally discovered them. It's a very nice piece of work. It looked like they were brand new. New veneer is light color walnut premium quality with beautiful grain. The mid basses 2122H and woofers 2235H were reckoned with new cones, spiders and voice coils of JBL products. Every grilles are new with original JBL grille badges. Grille cloth color is navy. New JBL blue paint on baffle. Before my first listen, I decided to change the push button speaker wire connection with Dynavox wire connection which can fit my HP wires with WBT connector. That gave me the opportunity to estimate the internal made work: wiring is original and glass wool smell vintage ! 3144's network boards have capacitors and connectors soldered new. Then, come the time so awaited, with a few apprehensive even so. Whew ! Everything is alright ! I was so impressed by the whole musicality. Everything was here. Dynamics, liveliness that I was expecting with splendid timbres. Today, just over a year ago, I think this the best speakers I ever heard after listening to many other system, I never felt such a presence, even with speakers Three/four times more expensive. The bundle JBL 4344 / Mark Levinson 23.5 works perfectly. That goes down very low and this is steady with the bass, with elegant at the top of spectrum. We feel the acoustic pressure with the body. I discovered most of my records again with unexpected dynamic, a lot of detail and deep bass. What about the price of 4344 ? 6 200 € shipping to my door from US and insurance. It depends on the dollar rate (December 2008 : 1 euro = 1,34 $). The customs duty was less than 1 000 €. So, the total is about 7 000 €. This price seems expensive, but we must face up things: I have brand new speakers, with new veneers which is not scratched on the corner as it is often the circumstances for the equipment that are found in France. I do not have to worry for quite some time now in regards to HP work's. The quality price ration seems to me justify for this model which is impossible to find in France. Since, I couldn't resist on March 2010 for a pair of 4315B which Rick sent to me from the US. I used them with another system that I set up in another room for my wife. A big cheers for Rick and Kenji for the great work you make. I am an happy customer with this durable purchase unless I couldn't resist one of this day for a pair of 4345 ! Novembre 2008. Je surveille depuis plusieurs mois les annonces pour trouver une paire de 4343 qui soient au top, mais pas grand chose d'intéressant ; juste quelques 4343 le plus souvent dans un état douteux. Et je ne vise pas plus haut car les autres modèles qui m'intéresseraient (4344 ou 4345) sont introuvables en France ou en Europe. Je peux encore patienter un peu car mes 4320 S8 me rendent de bons et loyaux services, bien que je trouve la compression 2 pouces (375) un peu trop omniprésente et le grave du LE15A trop effacé. Toutefois, je me dis qu'à ce rythme, ça peut prendre encore des années avant de trouver un modèle qui me va bien sur le sol français ou européen. Alors, c'est décidé, j'élargi mon champ de recherche, en hésitant d'autant moins qu'avec les enceintes, on n'a pas le problème de la tension comme avec les électroniques. Je connaissais de réputation JBL43 (Kenrick Sound) au travers d'échanges sur les forums et les avis de ceux qui étaient passés à l'action étaient favorables. Kenrick Sound est un partenariat entre Kenji Hosoi (qui réside au Japon) et Rick (qui réside aux USA). Rick rénove les JBL depuis 1974. Kenji, plus jeune, partage la même passion que Rick. J'avais quand même un peu d'appréhension, mais tout ce que je pouvais voir sur le site Internet au Japon (www.jbl43.com) m'impressionnait par la qualité et le professionnalisme du travail de rénovation réalisé. Après un mois d'observation, je me décide pour une paire de 4344, modèle qui a la réputation d'être plus « civilisé » que les 4343. Le modèle proposé est équipé d'un 2235H, d'un 2122H pour le bas médium, d'une compression 2425J avec membrane titane (plus fine et plus rapide que la membrane alu de la 2420 des 4343), et d'un 2405. Les dernières hésitations que je pouvais avoir sont rapidement levées avec la qualité des échanges par mail que j'ai avec Rick ou Kenji. Tous les deux sont très patients, à l'écoute de toutes les questions qu'on peut leur poser. Leurs réponses sont précises et sans ambigüité. Et bien entendu, les photos sont à l'appui. Bonne surprise : les 4344 sont disponibles aux USA (frais de transport divisés par deux). C'est Rick associé de Kenji Hosoi qui les a rénovées. Le délai d'attente est d'environ 3 semaines : une semaine pour Rick afin de les mettre en caisse bois et 10 jours de transport. L'envoi avec DB Schenker permet de suivre le cheminement pas à pas jusqu'à l'arrivée à Roissy. Dès réception en France, je suis contacté par DB Schenker pour le dédouanement (je leur donne mandat pour me représenter en douane, n'ayant pas le temps de m'investir moi-même dans les procédures administratives). Grand moment à la livraison des joujoux par DB Schenker : les 2 caisses sont livrées cerclées sur une palette (236 kg au total ! Voir photo) et il me faudra plus d'une heure de transpiration pour tout déballer (à l'intérieur de la caisse, tout est protégé avec du polystyrène, du carton et un film plastique épais). Enfin, je les découvre. Quel travail réalisé ! Elles sont comme neuves. Le plaquage a été refait en noyer de première qualité. Le bas medium 2122H et le boomer 2235H ont été remis à neuf (suspension et spider). Les grilles sont neuves avec du tissus et logo JBL d'origine. Le baffle est repeint avec du bleu JBL d'origine. Les condensateurs du filtre 3144 ont été remplacés et les connecteurs ont été refaits. Avant ma première écoute, j'ai décidé de changer les borniers poussoirs JBL d'origine par des borniers Dynavox avec lesquels je peux monter mes câbles HP avec fiches WBT. Ce qui, au passage, me donne l'occasion d'apprécier le travail réalisé en interne : le câblage est d'origine et la laine de verre à son odeur vintage ! Quant aux filtres 3144, les condensateurs et les connecteurs ont été changés. Puis, arrive le moment tant attendu, avec un peu d'appréhension quand même. Ouf, tout fonctionne ! Je suis immédiatement impressionné par la musicalité de l'ensemble. Tout y est. Dynamique, vivacité et le coté live que j'attendais, tout ceci avec les timbres magnifiques. Aujourd'hui, avec un peu plus d'un an de recul et pas mal d'écoutes d'autres systèmes, je n'ai jamais entendu une telle présence, même avec des enceintes pourtant 3 à 4 fois plus chères. Le couple JBL 4344 / Mark Levinson 23.5 fonctionne à merveille. Ca descend très bas et c'est ferme dans le grave, tout en étant très élégant dans le haut du spectre. On ressent de la pression acoustique avec le corps. J'ai redécouvert la plupart de mes vinyles avec une dynamique inattendue, beaucoup de détails et des graves profonds. Pour l'instant, je fonctionne avec un préampli Mac Intosch C42 qui sera mon prochain élément à remplacer. Et le prix des 4344 ? 6 200 €, frais de colisage, de transport et d'assurance compris. Tout dépend du cours du dollar (en décembre 2008, 1 euro = 1,34 $). Les frais de douane se sont élevés à un peu moins de 1 000 €, ce qui ramène l'ensemble à environ 7 000 €. Ce prix peut sembler élevé, mais, il faut regarder les choses en prenant un peu de recul : j'ai des enceintes comme neuves, avec des caisses qui ne sont pas rayées ou écornées comme c'est souvent le cas sur le matériel qu'on peut trouver en France. Je suis tranquille pour un bon moment coté travaux sur les HP. Le rapport qualité prix me paraît tout à fait justifié pour ce modèle impossible à trouver en France. Depuis, j'ai recraqué en mars 2010 pour une paire de 4315B que Rick m'a envoyée des USA. Je les utilise avec un autre système que j'ai mis en place dans une autre pièce pour mon épouse. Bravo Rick et Kenji pour le travail de passionnés que vous réalisez. Je suis un client pleinement satisfait par cet achat durable à moins que je finisse par craquer un de ces jours pour une paire de 4345 ! As I promised to Kenji, I let my impressions about the transaction and the products sold by Kenrick Sound. Above all, I want to apology for the translation into English (I hope my words will be well translated and understood properly. ...). I discovered the true JBL sound in recent years (unfortunately not through a recent productions). So I was looking for a speaker series 43 .. and especially of 4345 (following a variety of plays made with friends and acquaintances). It is almost impossible to find the 4345 in France (even in Europe) in excellent condition, origin and at "reasonable" price. ... So I turned to Kenrick Sound to find my happiness. To be honest, I was not that confident in the early stage before the purchase, (distance, transport and insurance to obtain a product line true to the description given by Kenrick Sound). My doubts were immediately erased, after my first exchange with Kenji. I found someone passionate and listening to all questions asked by a potential buyer (it's pretty rare these days to be underlined). Kenji has answered all my questions and queries with patience and reactivity. After a month of transportation by sea, I have received the speakers, within the lead time announced by Kenrick Sound. The packaging was done very professionally. Triple Protection (polystyrene, plywood, plastic film and thick cardboard), all set on 3 pallets for the speakers plus a second package containing the solid wood walnut stand for the speakers. The restoration work done on the 4345 is exceptional (and I weigh my words). I feel like I have some new speakers! Having placed the 4345 (not without difficulty because of their weight ...) in their location, their implement and adjustments have been started. My friend was impressed by Kenrick Sound's work. 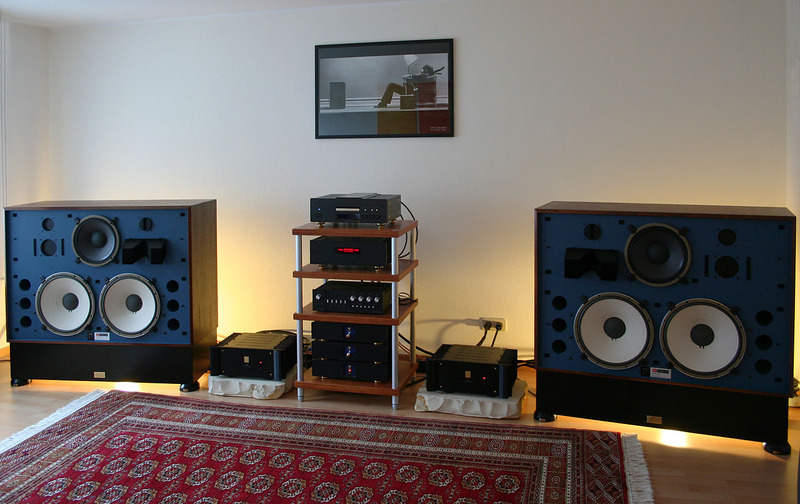 The speakers are in excellent condition, new suspension (Edge), new screws, attenuators cleaned and checked. ... The boxes are beautiful. As for the solid wood walnut stand, they match perfectly with the 4345. The manufacturing quality is remarkable. They are perfect. My 4345 is bi-amplified, using a crossover M552. The woofer is drive by an amp PSS audio studio. 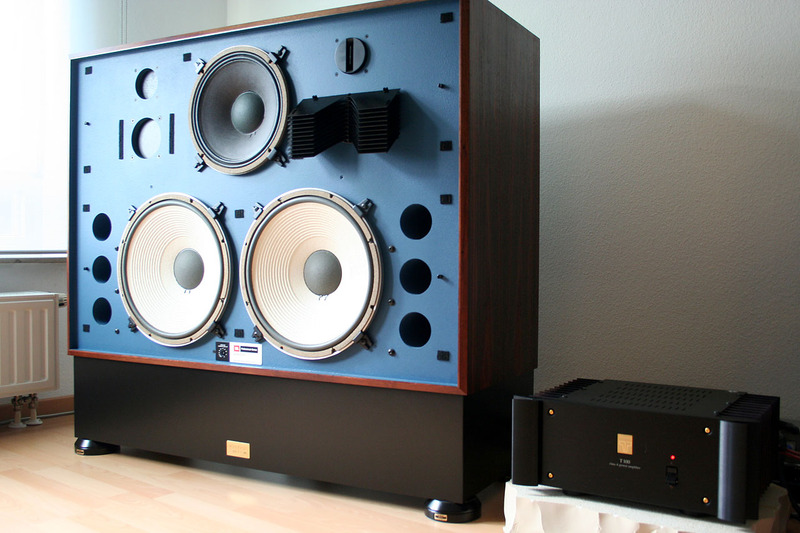 The medium / treble, a Hybrid Amplifier Conrad Johnson Evo 2000. After my friend had refined settings, the results are impressive. In short, this is happiness. The 4345 has incredible potential. 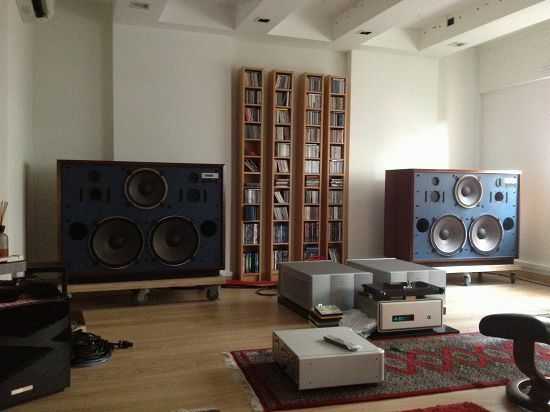 I would like to thank Kenji and his team for their work, giving a second life to these wonderful speakers. I recommend without reservation to all lovers and enthusiasts wishing to possess JBL speakers in the series 43 .. to consider Kenrick Sound's offers. The value for money is simply remarkable. Bravo and thank you again Kenji. *_Comme je l'avais promis a Kenji, je laisse mes impressions sur la transaction et les produits vendus par Kenrick Sound. Avant tout, je tiens à m'excuser pour la traduction Français / Anglais (j'espère que mes propos seront bien traduits et compris….). J'ai découvert le vrai son JBL depuis quelques années (malheureusement pas à travers les dernières productions). J'étais donc a la recherche d'enceintes de la série 43.. et plus particulièrement des 4345 (suite a divers écoutes faites chez des amis et connaissances). Les 4345, sont « pratiquement introuvables » en France (même en Europe) en excellent état, d'origine et a un prix « raisonnable »…. Je me suis donc tourné vers Kenrick Sound pour trouver mon bonheur. A vrai dire, c'est avec une certaine appréhension (au début), que j'ai envisagé cet achat (l'éloignement, le transport et l'assurance d'obtenir un produit conforme à la description faite par Kenrick Sound). Mes doutes ont tout de suite été levés, dès mes premiers échanges avec Kenji. J'ai trouvé une personne passionnée et à l'écoute de toutes questions posées par un acheteur potentiel (c'est assez rare de nos jours, pour être souligné). Kenji a répondu à toutes mes questions et interrogations avec patience et rapidité. Après un mois de transport par mer, j'ai réceptionné les enceintes. Le délai annoncé par Kenrick Sound était tenu. L'emballage était réalisé de façon très professionnelle. Triple protection (polystyrène, contre plaqué, filmage serré et carton de forte épaisseur), le tout posé sur 3 palettes. Un second colis contenant les pieds support en bois accompagnait celui des enceintes. L'ouverture et le déballage lui seul à durer 1 heure !!! Le travail de restauration réalisé sur les 4345 est tout simplement exceptionnel (et je pèse mes mots). J'ai l'impression d'avoir devant moi des hauts parleurs neufs !! Un premier réglage « grossier » a été réalisé, en attendant la venue d'un ami connaissant parfaitement les 4345 (il en possède une paire, ainsi que des Everest DD55000, des L300 et 4312B). Mon ami a été impressionné par le travail réalisé par Kenrick Sound. Les hauts parleurs sont en excellent état, suspensions neuves, visseries neuves, atténuateurs nettoyés et vérifiés….Les caisses sont superbes. Je ne parle pas des pieds supports, qui se marient parfaitement avec les 4345. La qualité de fabrication est remarquable. Ils sont parfaits, dans toutes leurs proportions. Mes 4345 sont bi-amplifiées, via un filtre actif M552. Le woofer est drivé par un ampli PSS audio studio. 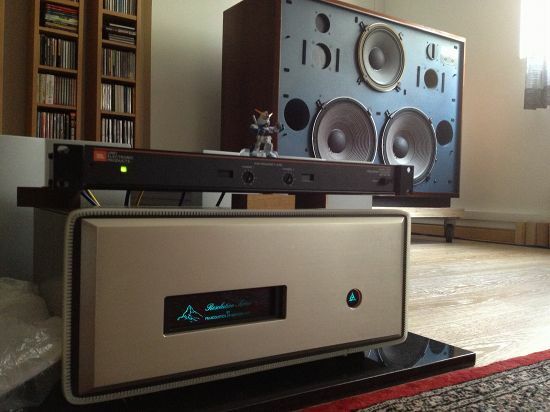 Le medium/aigu, par un ampli hybride Conrad Johnson Evo 2000. Après que mon ami ait affiné les réglages, les résultats sont impressionnants. Bref, vous l'aurez compris que du bonheur. Ces 4345 ont un potentiel incroyable. Je tiens à remercier Kenji et toute son équipe, pour le travail réalisé afin de redonner une seconde vie a ces superbes hauts parleurs. Je conseille, sans réserve à tous amoureux et passionnés de JBL désirant posséder des hauts parleurs de la série 43.. de tenir compte des offres de Kenrick Sound. Le rapport qualité prix est tout simplement remarquable. Une équipe de passionnée, au service de passionnés. Bravo et encore merci Kenji. First I would like to say thank you for the prompt shipping and excellent packaged, you're very knowledgeable and helpful person, the speaker arrived without any damaging or malfunction, I mean in perfect condition, even the shipping is a little bit too costly but it worth for every single buck. I can't wait to unpack the speaker so that I asked my friend come over and help me to move the speaker down to the basement ( my audio room ) then hoops it up to my audio gears and found a right spot fit the speaker, after a roughly set up been done, we're almost out of breath, the speaker is so darn heavy and my arms are so sore until next couple days, anyway we finally can sit down and listen to it, mmmm…what should I say…. its a fabulous speaker, neutral and extremely revealing excellent bottom end, image is rock solid, smooth mids and a punchy yet tight bass, kick drums and percussion was reproduced accurately with visceral tactile punch, I like the sound coming from the speaker, I tested the speaker on a variety of material including jazz, classical and rock, rumorous JBL is not suit for classical especially strings, for me its far more OK on my system, the violin sounds like violin and the piano you probably can see a grand piano played in front of you, the speaker is a true reference, compare to my previous speaker PMC IB1 only the mids could be in the same league other than that I would say switch to 4344 is a big step up, IB1 is still one of my favorite speaker, before I owned that, I did audition lots of modern speakers including Wilson, JML and B&W, PMC is so live like and rock solid compare with others, I think the modern hi end speakers only more refine and nothing else, the reason I look for the 4344 without any audition is when I was a child JBL4343 is my dream speaker, actually my buddy's (schoolmate) dad has a pair of 4343, at that time the speaker is taller than me I felt the speaker so huge as well as the sound is so big, I was so impressed and was thinking I must owned a pair someday, unfortunately when I thinking I could afford to get one it is obsolete long time ago already and nearly impossible to get a decent pair in north America, until I realized you guys in Japan still carry some big JBL studio monitors in impeccable condition, I decided order a pair of 4344 that's I believe it's a little improved from 4343, (correct me if I'm wrong) anyway I'm very satisfied for the speaker and prove its the right direction. One thing comes into to my mind is observed now a day the hi end expensive speakers has no improve over 30 years when compared with 4344 0r even 4343, maybe some audiophile mania can have a clue why, the 4344 may not be perfect (in fact pretty close) but it does almost everything well with no serious flaws, someone may says it's little too expensive but for me it's a terrific bargain. Good job Kenji, I hope your business will keep going and going so that the JBL big fans still has a good source to get those fabulous speakers. I appreciate everything during our deal. I hope somebody else in Canada get to be interested in 43XX series monitors on my website. Thanks. Always Japanese the precisions worker of the world. I recieved the speakers yesterday, and i am very happy with the sound and the speakers looks like new :-) The sound reminds me of my fathers Jbl L300 i've liked so much as a boy. "Wow....unbelievable good package and performance"
Since I have some delay on my business trip, the speaker is just arrived to my house 2 days ago. Yes, it's passed 2 months in the warehouse. This is the first time I am buying some audio stuff from overseas, that I have not listening to it before. My purchase is JBL 4315A, which is an 1977 products. Cannot believe such an products, which has passed more than 30 years can have an good condition like this. The sound, very clear and accurate. I am very satisfied with this purchase, and with special thanks to Mr. Kenji Hosoi. Thank you for your purchase. Best Regards, Kenji. Honestly, it is not easy to believe that it is quite easy to buy some JBL speakers from Japan and get them shipped to your home very safe and quick. Actually, I am writing this review, because I was so satisfied with KENRICK SOUND. Mr. Kenji Hosoi, the head of this small company is a music lover himself, of course, JBL studio monitors are his favourites, as you can imagine.. He loved JBL so much, that he decided to make a business, just to offer people all over the world wonderful JBL's for moderate and honest prices, including an outstanding service and a support anytime. I met Mr. Kenji Hosoi personally and it became aware quite quick, that this guy is unbelievably nice, honest and highly reliable. So I decided to order a pair of speakers from KENRICK SOUND. 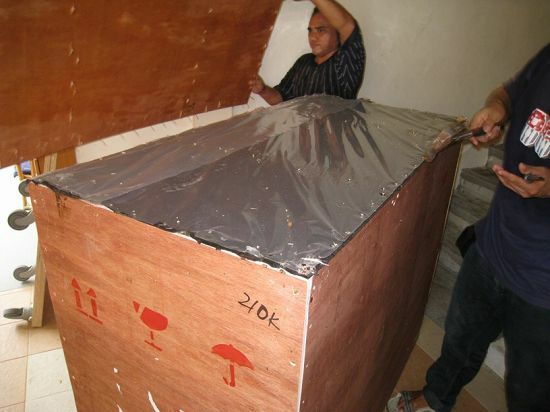 The whole deal went through very quick and only two weeks later two big, custom made wooden crates knocked on my door; perfectly packed and crated. I would really like to encourage all JBL lovers, especially those from overseas and Europe, to make contact with KENRICK SOUND in case of serious interest in buying JBL speakers. This company is standing behind his word ; KENRICK SOUND has an outstanding service and support and makes it easy to customers to order speakers and get them shipped very safe to their homes. Offered are only perfectly maintained speakers and shipping and handling the speakers is astonishingly moderate. I had the pleasure to obtain a perfectly restored pair of 4350 studio monitors in mint condition- of course with an outstanding sound. Of course KENRICK SOUND! 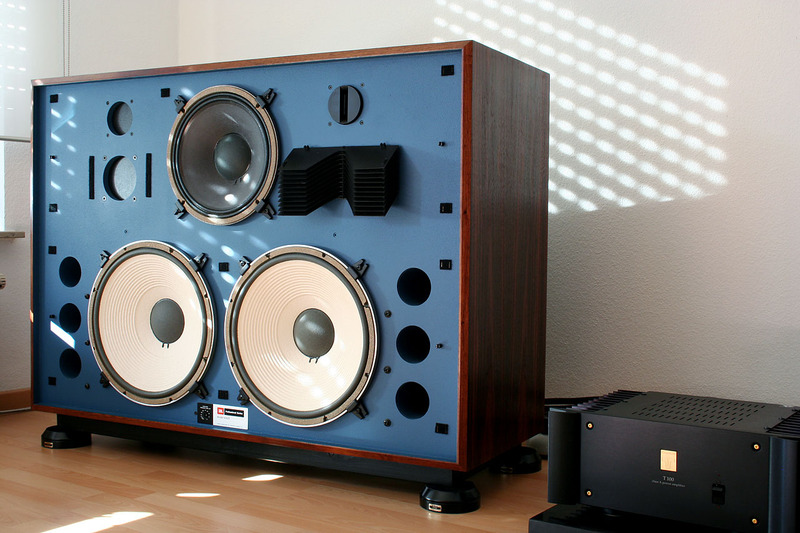 The KENRICK SOUND 4351 is awesome speakers. Thank you very much! The 4344 have big sound and I like them and really enjoy with them. Copyright (C) 2006 - 2019 KENRICK SOUND CO., LTD. All Rights Reserved.